I've been watching my carbs here and there, as I always do when my weight creeps up and it's time to reign it in. I don't go NO-carb (I still think that sets me up to put on weight FAST when I do add carbs back in — see more about that here: Lowering the Glycemic Index of the Foods You Love), so I just watch it more, eat GOOD carbs (no sweets, limited grains), and mostly keep my portions in check. Real food tastes SO good, I can be a pig pretty easily. So when I find a good lower-grain or grain-free recipe, I'm a happy girl. 🙂 Here's my latest favorite, not grain-free (as the picture says, before I was corrected in the comments), but gluten-free, and you can adjust how much rice you use. 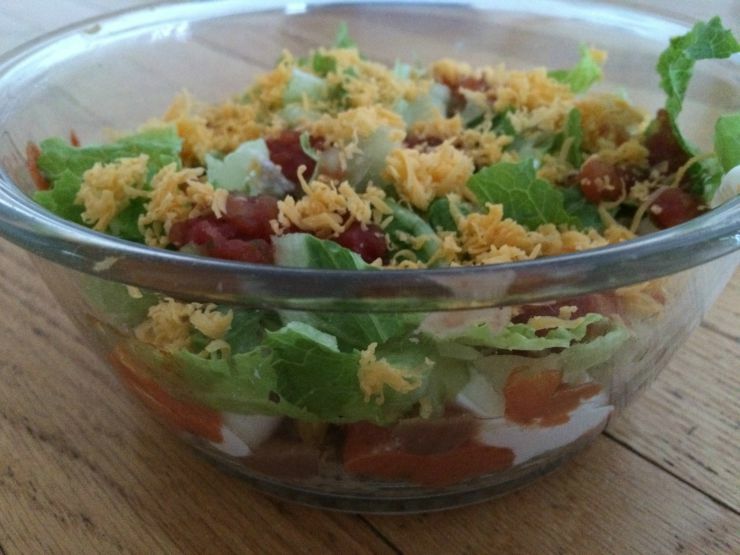 You could also do no rice at all, and just make it a big yummy burrito salad. The kids loved it too — our daughter said, “This is better than Chipotle's burrito bowls!” You can make these as jam-packed or as simple as you want, depending on how much time you have or what's on-hand. No need to stress. This will be a hit with your family, because you can let them put whatever they want on theirs! Seasonings for the meat — use this homemade taco seasoning mix, or just stir in spices like sea salt, pepper, cumin, oregano, paprika, garlic powder, onion powder, you really can't hurt it! 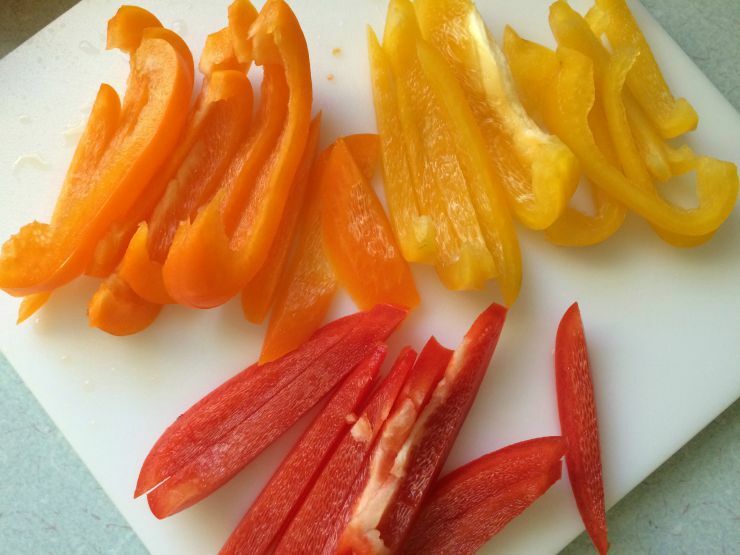 Add red pepper if you want it to have a kick. Use 1/2 teaspoon of each to start, you can always add more if you think it needs extra flavor. Cooked rice — the amount depends on how many you're feeding, just follow the directions on your rice. I like this kind, and LOVE that velcro closure. Limes, for squirting lime juice all over the top — yum! Make the sauce — note that it has no flour! Melt butter, cream or milk, and cream cheese in a medium saucepan. As it thickens, keep adding more milk or cream — I like it creamy, but not too thin. 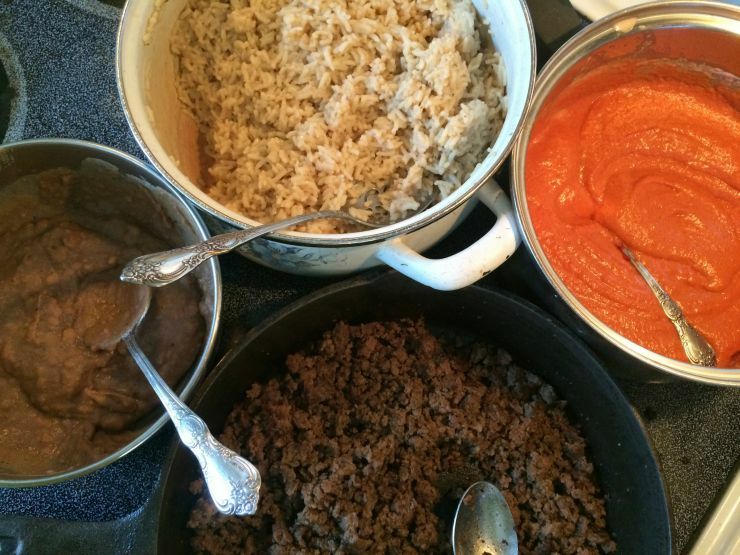 Add the tomato paste and more taco seasonings, again, about a half-teaspoon each until you see what else it needs – keep whisking it all as it blends together and the flavors “marry”, as the TV chefs say. Taste-test to see what it needs to be dreamy. More sea salt? More garlic powder? If anything is done before you’re ready to assemble, just set it aside for a few minutes. You can keep the warm stuff on low heat on the stove. Start assembling. 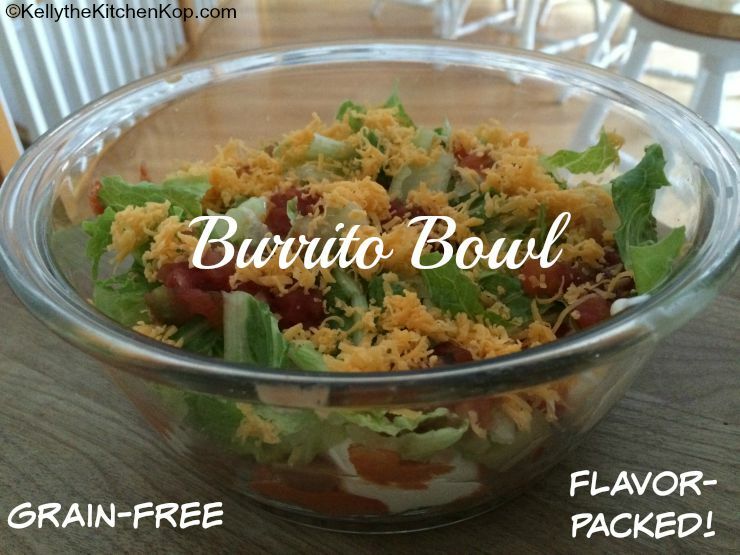 Everyone can throw whatever they like into their burrito bowl. 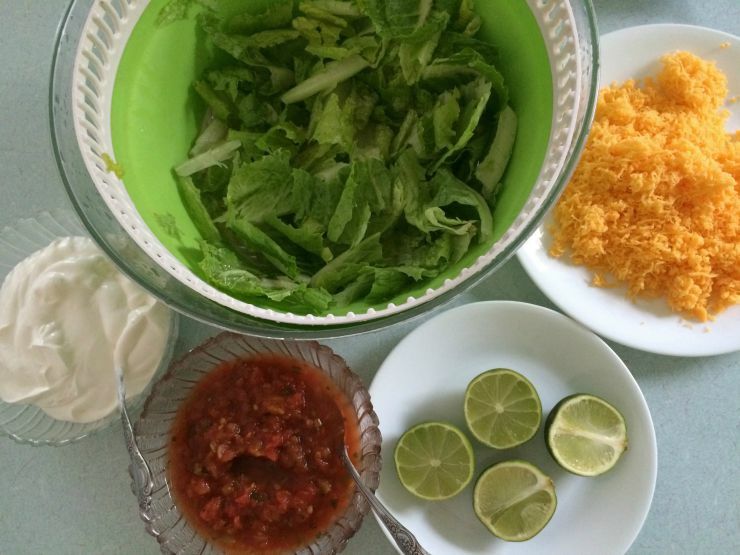 Start with lettuce and/or the rice, and go from there to the meat, veggies, cheese, lime juice, herbs, etc. Dollop the beans, salsa, sour cream, and sauce around the top. Rice is a grain so I think you should change your title. You’re right, I should’ve said gluten free!